Thanks to the unflagging gift that is Snapchat, it’s never been easier to learn exactly which products different influencers and celebs really swear by—and as anyone could have probably predicted long ago, the Kardashian/Jenner clan has been particularly forthcoming when it comes to their beauty routines. The best part is that peppered among the typical favorites that we certainly know and love are some quirky and lesser-known gems, from the men’s product Kylie swears by to the $8 skincare item Kim can’t get enough of. And just yesterday, the latter offered up another under-the-radar fave while snapping her evening skincare routine: her go-to eye cream. Given that she has the complexion of someone who’s slept a perfect eight hours every night of her life, needless to say, we’re paying attention. Keep scrolling to see which little-known eye cream Kim Kardashian West swears by. 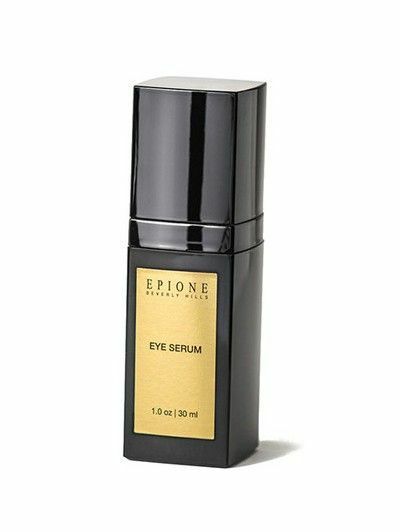 Kardashian West sources her favorite eye cream (which was recently reformulated as a serum) from her go-to dermatologist, Dr. Simon Ourian, who created his Epione skincare range to complement his treatments and services. (He also happens to be the man behind Kylie’s notorious pout.) This product in particular contains a powerful peptide complex designed to contour and fill the eye’s delicate, droop-prone skin, as well as vitamin K, a collagen booster. On that note, #neverforget that time Kardashian West snapped her entire beauty routine.